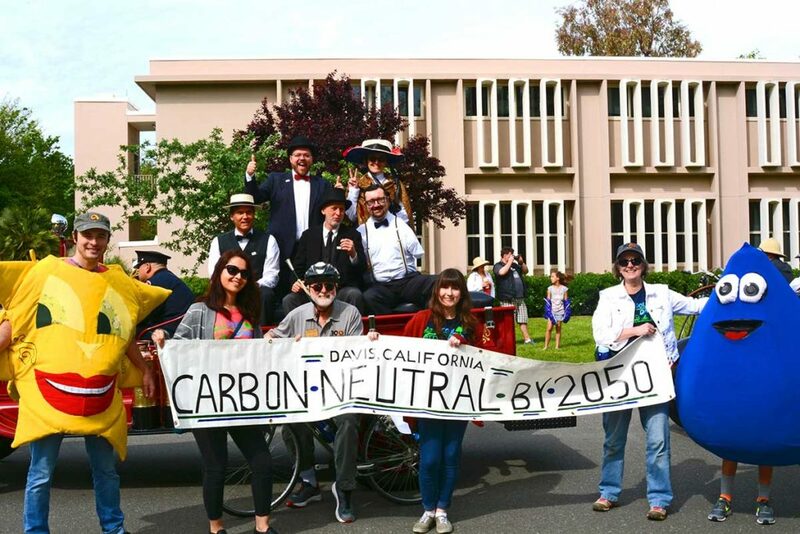 Cool Davis is an active network of residents, community organizations, businesses and community institutions committed to implementing the City of Davis’s Climate Action and Adaptation Plan. Our mission is to inspire our community to reduce greenhouse gas emissions, adapt to a changing climate, and improve the quality of life for all. We engage in our mission with a philosophy of fun! Climate change is serious but in order to make change we must engage all of the community and all of our creativity in the process. Cool Davis actively incorporates organizations and activities around good food, laughter, music, art, poetry, dance, visual arts, and film. Cool Davis is a non-profit 501c3 organization (ID#27-3056050 and gladly accepts tax-deductible donations and offers sustaining and event specific sponsorships. Cool Davis is committed to the goals of the City of Davis Climate Action and Adaptation Plan (D-CAAP), inspired by the California Global Warming Solutions Act of 2006 (AB-32). As set out in this document, our local goal is to reach community level carbon neutrality by 2050. Cool Davis works in close partnership with the City of Davis to achieve these goals. Specifically, Cool Davis has taken on the task of community engagement portion of the D-CAAP. As a result we work primarily with households to reduce greenhouse gas emissions. To find out more about our work and programs, check out our How We Work page. Engaged hundreds of households in active reduction of greenhouse gas emissions. Hosted prominent public events including talks, workshops, bike rides, showcases, film screenings, and panels. Helped to organize Low Carbon Diet support groups across town. Produced the annual Cool Davis Festival attended by thousands. Engaged hundreds of volunteers in a range of capacities. Built a network of more than 80 partners. Established a strong collaborative relationship with the City of Davis. Presented annual Eco-Hero awards to dynamic change makers in our community. Led the effort to be named the Coolest City in California in 2013 by Cool California. Earned the BREATHE Clean Air award in 2014. Spoken out on greenhouse gas (GHG) issues locally and in the region. Contributed to the successful defeat of expanded oil train facilities in Benicia and San Luis Obispo.